We adore our grandparents for their never ending love to us. We care for them as much as we do with our parents. Sometimes, they are the ones we can look up to no matter how tall we grew. They never forget to share with us the wisdom they had acquired through the passage of time. Those are just some of the reasons why Grandparents' Day must be celebrated not just once in a year but every single day and them feel cherished. Now, it's your turn to express your gratitude for the life lesson. Share with them our endearing collection of Famous Grandparents Quotes and Sayings by Famous People that will surely make their hearts melt. 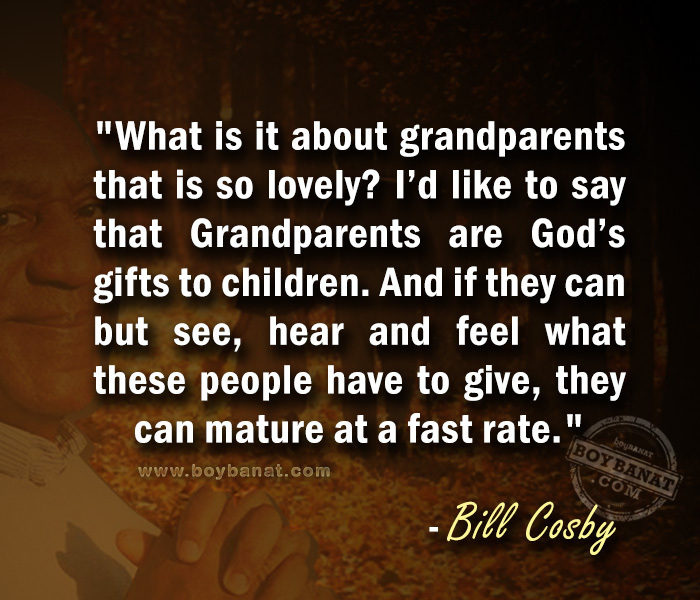 "What is it about grandparents that is so lovely? I’d like to say that grandparents are God’s gifts to children. 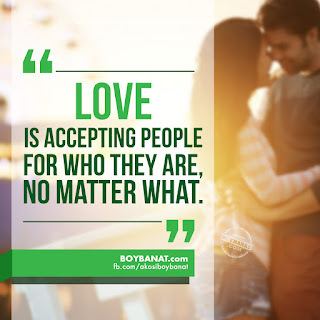 And if they can but see, hear and feel what these people have to give, they can mature at a fast rate." "What children need most are the essentials that grandparents provide in abundance. They give unconditional love, kindness, patience, humor, comfort, lessons in life. And, most importantly, cookies." "It’s funny what happens when you become a grandparent. You start to act all goofy and do things you never thought you’d do. It’s terrific." "Uncles and aunts, and cousins, are all very well, and fathers and mothers are not to be despised; but a grandmother, at holiday time, is worth them all." "Something magical happens when parents turns into grandparents. Their attitude changes from “money- doesn’t- grow- on- trees” to spending it like it does." "To become a grandparent is to enjoy one of the few pleasures in life for which the consequences have already been paid." "If your baby is “beautiful and perfect, never cries or fusses, sleeps on schedule and burps on demand, an angel all the time,” you’re the grandma." "My grandchild has taught me what true love means. It means watching Scooby-Doo cartoons while the basketball game is on another channel." "A child needs a grandparent, anybody’s grandparent, to grow a little more securely into an unfamiliar world." 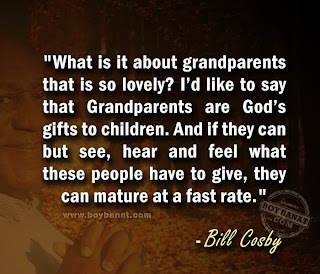 If you have your own favorite Famous Grandparents Quotes and Sayings, we would love to hear it, simply add a comment below or just email to us with a subject: grandparents and will posted up for you.